Brent Dearmon talks about installing RPOs into your offense and how he’s turning around Bethel University with an explosive offensive style. Coach Brent Dearmon has a pretty impressive resume including most recently working as Offensive Coordinator at Arkansas Tech. Now he’s turning around his alma mater at Bethel University in Tennessee. In this Football Coaching Podcast interview, Coach Dearmon shares how you can install RPOs into your offense, and how to call plays to attack any coverage. Plus he’ll talk about the turnaround process at Bethel, and about his time working for Gus Malzahn at Auburn. 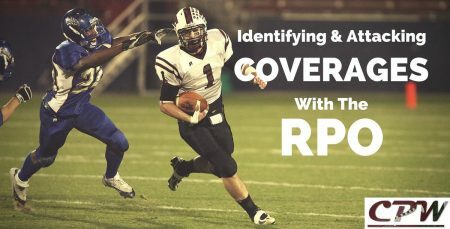 Coach Dearmon and CoachTube.com generously provided a special deal for Football Coaching Podcast Listeners to get $10 OFF Identifying & Attacking Coverages with the RPO. Coach Dearmon teaches everything you need to know to incorporate RPOs into your offense right now. Click here to get this exclusive deal.